Eighth grade students at Central Square Middle School are hard at work putting the district mission “to empower all students to excel as citizens in a changing world” into action as they finished up their Fall Job Shadowing Program. Dr. John Kuss of Kuss Physical Therapy demonstrates to Central Square Middle School students Hannah Boettch, Elise Penrod and Brianna Basile how to properly use the balancing mobility machine. All eighth grade students taking the Family and Consumer Sciences class have the chance each semester to shadow a local business within the Central Square School District area. This year marks the 21st year that the school has offered students the opportunity for work-based learning through the FACS program and an astounding 110 students have shadowed in the community this fall. Each student spends approximately two and a half hours at the worksite on the day of their job shadowing experience. Different students are assigned to visit business partners each day, giving an opportunity for all FACS students to participate. By strengthening the school-workforce connection, students not only gain confidence, but also increase awareness of employer expectations, including the skills, aptitudes and qualifications required for different types of jobs. 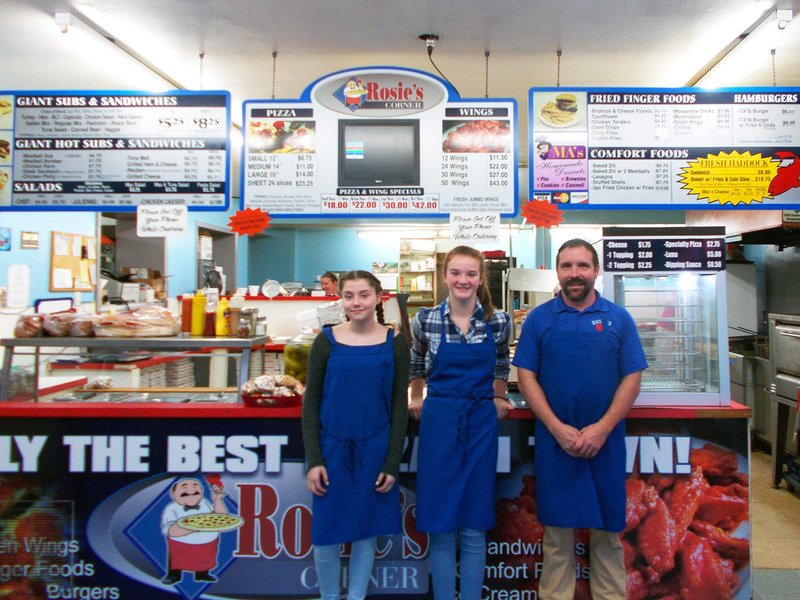 Jason Bronner, owner of Rosie’s Corner in Brewerton, shows students Allyson Russell and Marianne Habereer the ins-and-outs of running a restaurant business as part of Central Square Middles School’s Job shadowing Program. Cynthia Galutz, a member of the Central Square FACS department has seen first-hand the impact this program has on students. “These real world experiences are the ones the students will remember for a lifetime,” she said. Central Square School District would like to thank the following businesses that participate in the Job Shadowing Program: A&S Computers, Brewerton Bait and Tackle, Brewerton Pharmacy, Brewerton Fire Department, Burdick Ford, Burger King, Buttercup Cheese, Central Square Health Center, Central Square Police Department, Clear Lake Animal Wellness, Curves, Dave’s Equipment, David Grasso, Attorney, Highland Animal Hospital, Kleis Equipment, Kuss Physical Therapy, McDonald’s, Murphy’s Automotive NAPA Automotive, McCue Dentistry, Prestige Studio, Reymore Chevrolet, Rosie’s Corner, Schneider Packaging, Taco Bell, United Wire, Scrimale Automotive, Village Pharmacy, Walczyk Law Firm, Wegerski Law Firm and the Winter Harbor Marina.